Trump All Up in the NFL Board Room – Activist Players Forced to Locker Room? Those are the words of Dr. Harry Edwards when he was interviewed last year on St. Louis Public Radio. Edwards is a St. Louis native and one of the architects of the 1968 Olympics boycott which resulted in the infamous Black power salute by Olympian medalists Tommy Smith and John Carlos. Edwards is one of my go-to people for insights into Blacks and sports. 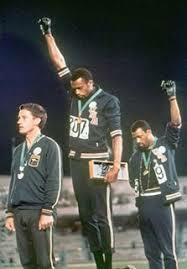 I thought about Brother Edwards when I heard the National Football League policy on athlete activism. He’s a friend and advisor to Colin “Take a Knee” Kaepernick. What any self-respecting Black person – athlete or not – heard in the white and male dominated owners’ decision is: We don’t care about what happens to you as a citizen; we just want to use your Black body to make money for us. 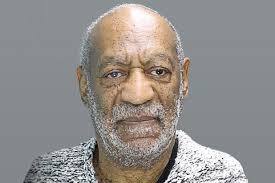 After 2004, I had a few ounces of respect for Bill Cosby, mainly as a humanitarian for his generous support for education, particularly for Historically Black Colleges & Universities (HBCUs). Advancing black culture including exposing and financing black artists, creating career opportunities for people of color in the entertainment industry. Adopt and maintain a healthy lifestyle – diet, exercise, meditation, etc. This is a radical act! Holistic health will result in positive relationships, Clarity of thought, and Longevity as a freedom fighter.